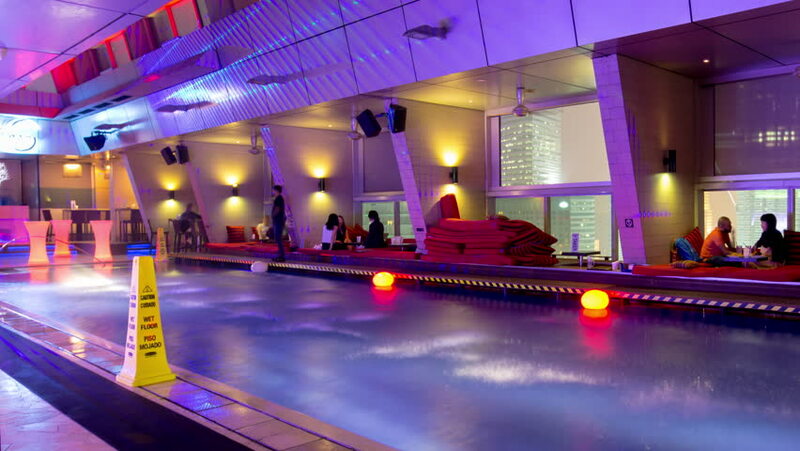 KUALA LUMPUR, MALAYSIA - JANUARY 2016: night light roof top hotel bar restaurant swimming pool 4k time lapse circa january 2016 kuala lumpur, malaysia. 4k00:08KUALA LUMPUR, MALAYSIA - JANUARY 2016: famous hotel roof top swimming pool bar restaurant 4k time lapse circa january 2016 kuala lumpur, malaysia. 4k00:05BANGKOK, THAILAND - NOVEMBER 16, 2015: Interior view of Cloud 47 Rooftop bar at night in Bangkok. Time lapse movie. hd00:10MOSCOW, RUSSIA - NOVEMBER 13, 2015: Point of view shot of riding along ice rink in winter night. Gorky Park ice rink.